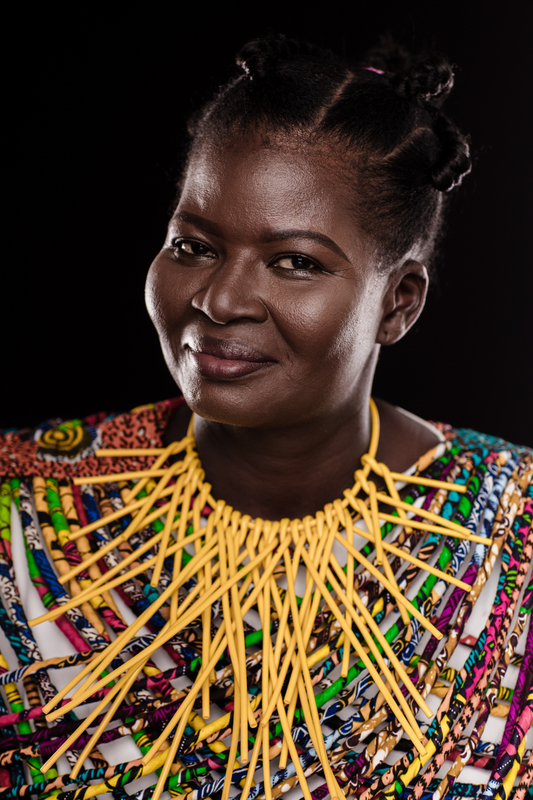 When you look at the 12 portraits taken by photographer Francis Kokoroko of lifers of the Nsawam Prison in Ghana, you see 12 strong, powerful women. What is even more powerful is the story behind those 12 portraits. 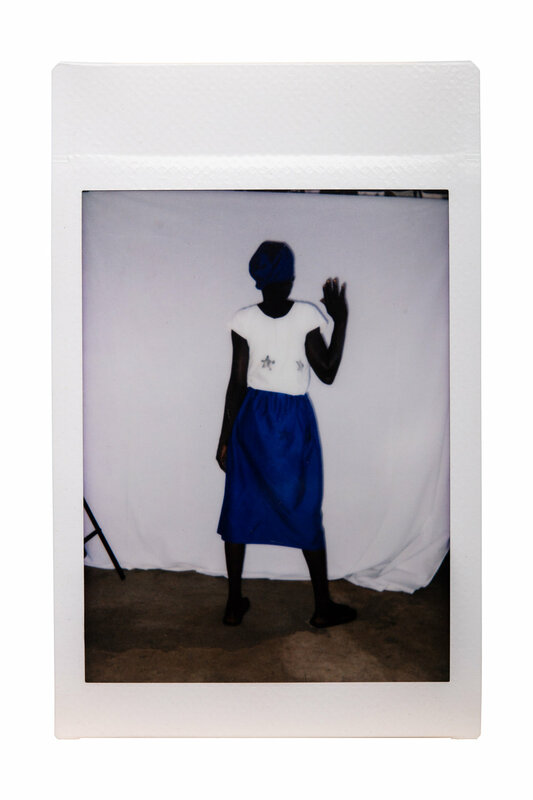 They are the result of a collaborative and participatory multi-arts project: Remember Me was conceived by artist and stylist Rania Odaymat and photographer Francis Kokoroko, both members of the Accra-based Beyond Collective. 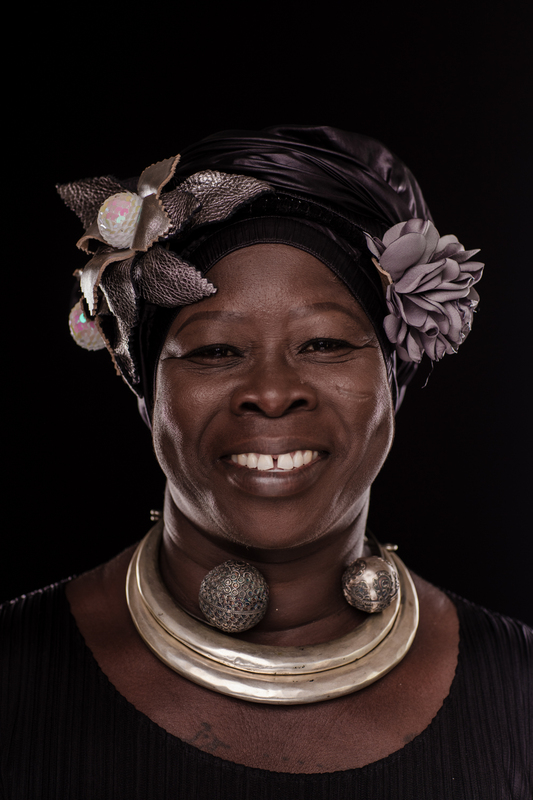 Remember Me — or ‘Kae Me’ — gives 12 women a voice — and a face — that they would otherwise not have. 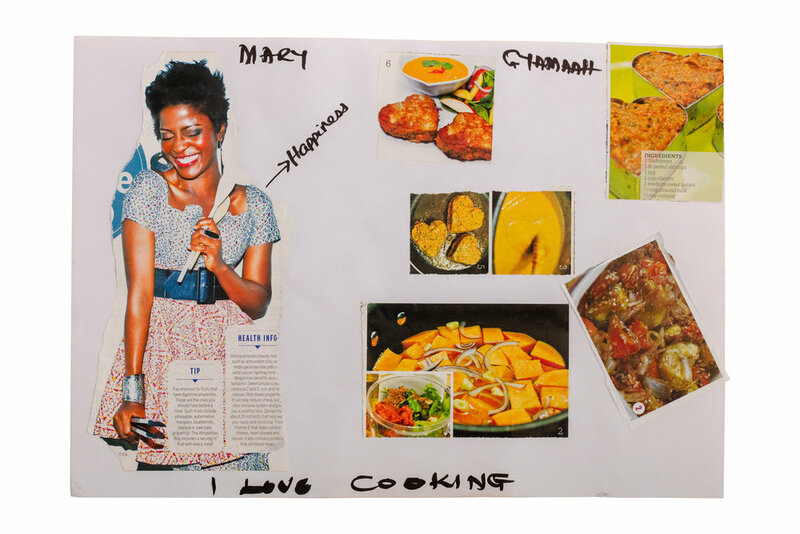 Throughout 2018, Francis and Rania have visited the women at Nsawam Prison several times to organise workshops, each with a different focus, including making collages, which allowed each woman to express her own views in her own aesthetics; and photography, during which they discussed the power of image-making, and got the women to take photos with instant film cameras. Initially, the women were skeptical, as usually nobody cares about what they think. “Our face is our shame,” they would say. But throughout the process it became clear that the women longed to be remembered. “These women suffer from extreme marginalisation by Ghanaian society and their own families, who, in most cases, completely erase them from existence. The impact of their isolation and rejection on their self-worth is significant; many expressed doubts that their thoughts and opinions could be of interest, or of value,” explains the website of the Fair Justice Initiative, the NGO that facilitated and supported the workshops. In such a context, practicing art and allowing for creative expression can be particularly important and powerful, says Rania, who works as a creative therapist. Similarly, Francis explains that he was keen to create an environment that would allow the women to unleash their creativity and imagination, even only for a short amount of time. 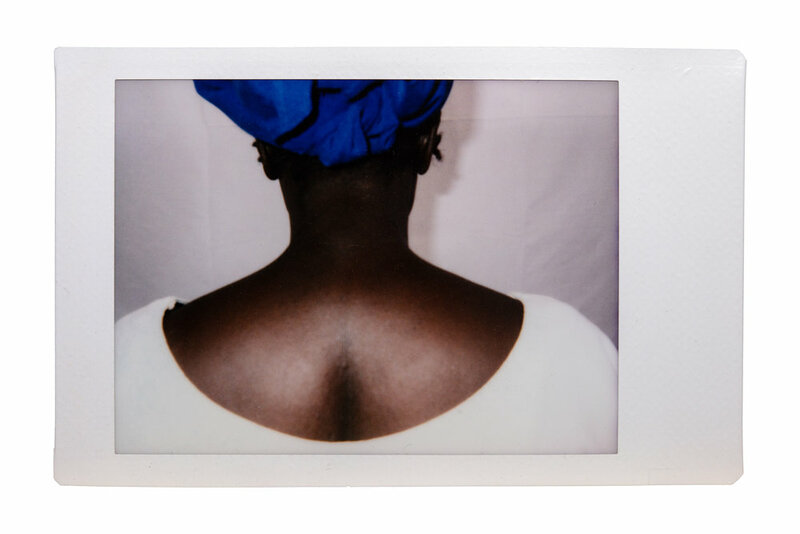 The prison context made it difficult to execute a creative project: Rania and Francis met many obstacles on their quest to allowing each woman to create their own portrait. The women were not allowed to possess their own photograph. During the first photography session, the team didn’t receive the official permit to photograph on time, so the women were only allowed to take photos that wouldn’t show their faces. “This act of disembodying each woman did not disempower them. Their identity is still distinctly marked through their bodies despite the shame and concealment projected onto them. 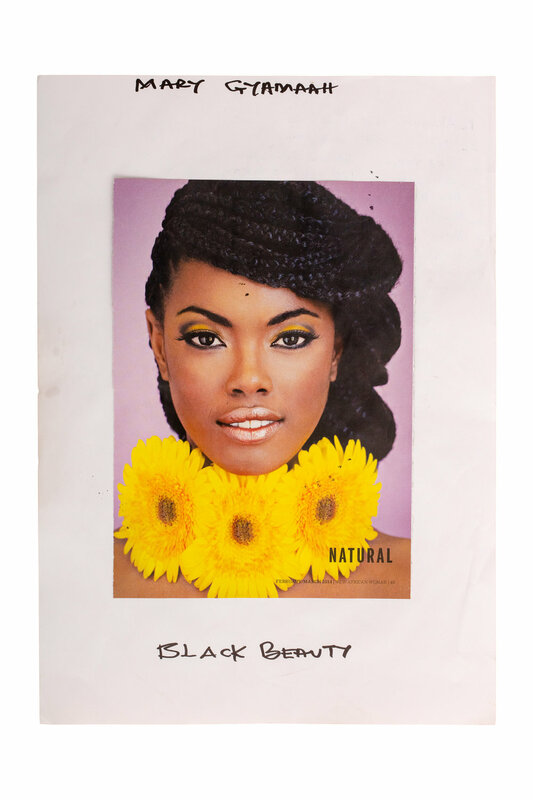 They resist through thoughtfulness and grace,” states the Beyond Collective’s “Make Be” catalogue. 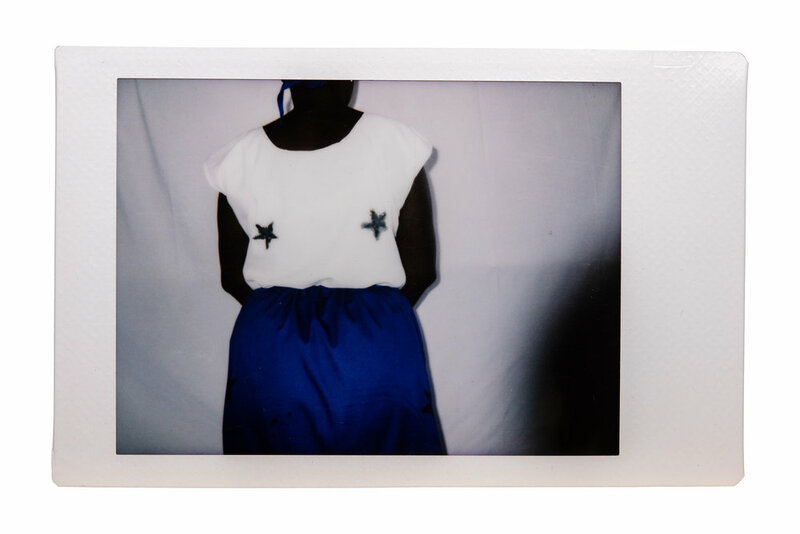 “Make Be” is the title of the Collective’s art exhibition which took place in October 2018 in Accra, and which included the “Remember Me” project as one of eight works showcased. 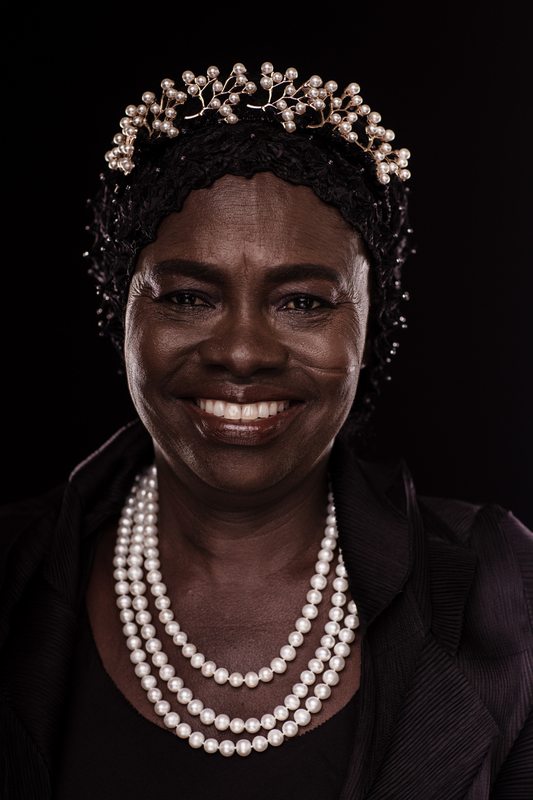 Following several visits of the Nsawam Prison, eventually, the artists were given a two-hour slot for a portrait photography session. 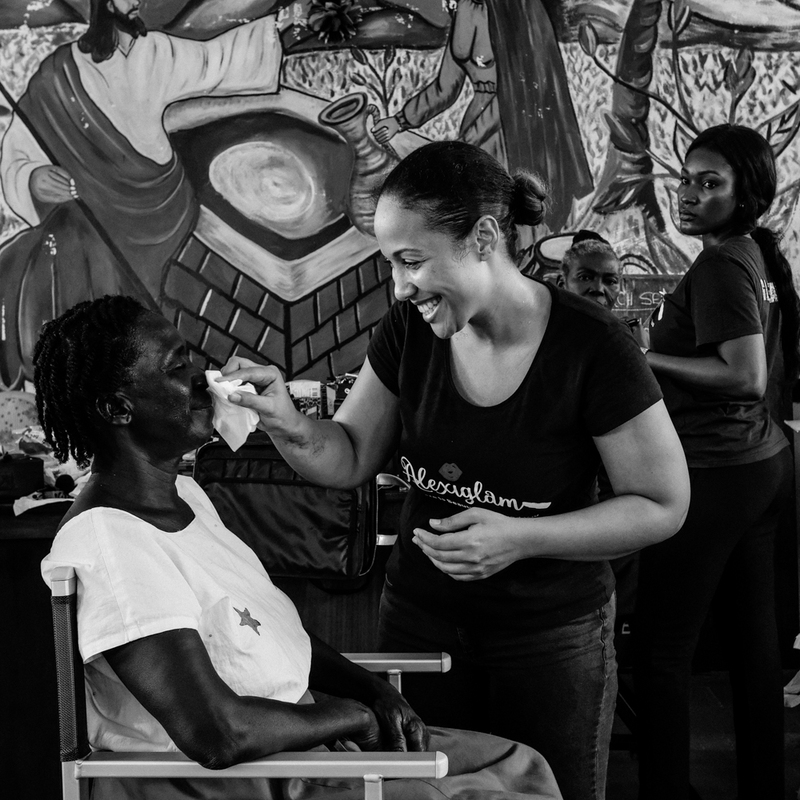 The seemingly impossible task was realised thanks to the support of the Fair Justice Initiative, and make-up artist Sandra Don-Arthur whom Rania and Francis brought on board. 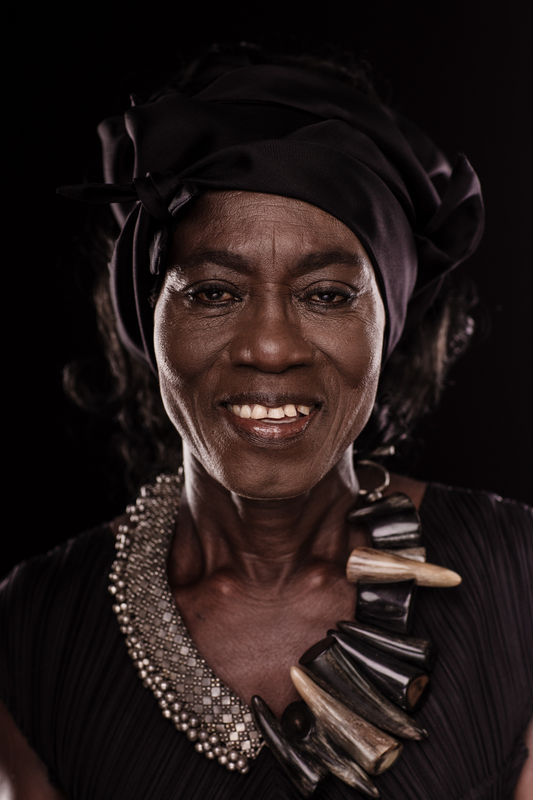 “The women from Nsawam prison do not wish to be reduced to the stigma of a label. They asked to be seen as “same” — worthy and beautiful. They each picked elements in their look and styling that told a story of their hidden sense of self and identity — dreams, aspirations, aesthetics etc, thus collaborating in the creation of their final portraits,” says Rania. Seeing the final 12 photographs displayed at the Beyond Collective’s “Make Be” exhibition, and understanding the story behind them, showed the huge impact of the project. Thanks to Rania and Francis, Mary, Esther, Ama Y, Lamisi, Agnes, Talata, Zelia, Akosua, Ama A, Abena, Salamatu, and Adwoa have a face again. And the project doesn’t end here. The artists are committed to continuing their collaboration with the Fair Justice Initiative, to give the women a space of creative expression, a “creative escape,” as Francis says, the artists’ way of granting them their human rights that they are entitled to as prisoners too. Francis Kokoroko is a creative and photojournalist and photo educator based in Accra. He has a keen interest in documenting the ever-evolving cultures and everyday life on the African continent. He uses his images to communicate a personal message, and believes that emotion is the most important element of any picture. He is part of Beyond Collective and Nuku Studio, and co-organised the first Nuku Photo Festival and the Portraits Ghana Photo Prize. Rania Odaymat is an artist, stylist, creative facilitator and curator. 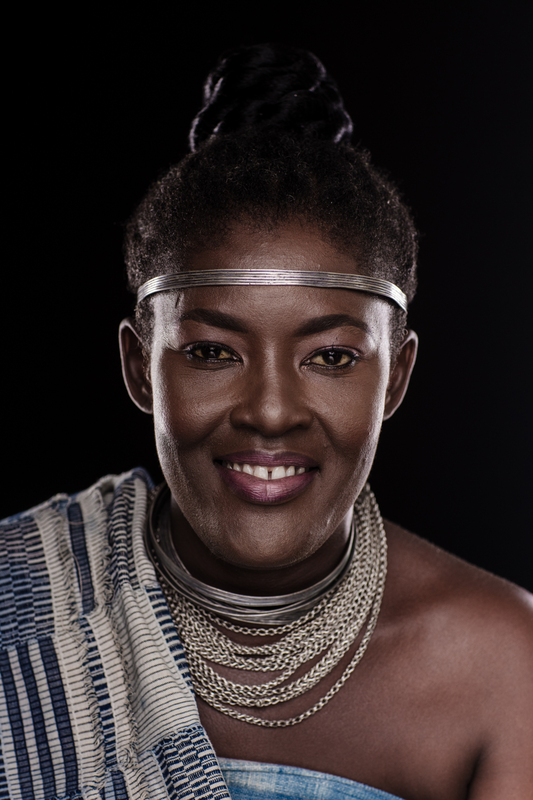 She is one of the founding members of the Beyond Collective, a Ghanaian non-governmental organisation whose aim is to promote creative awareness and education, as well as facilitate artistic exchanges and collaborations. She is also a trustee of The Fair Justice Initiative.